Long-time partners Ortofon and Pro-Ject together introduce an exclusive Ortofon Century Turntable. 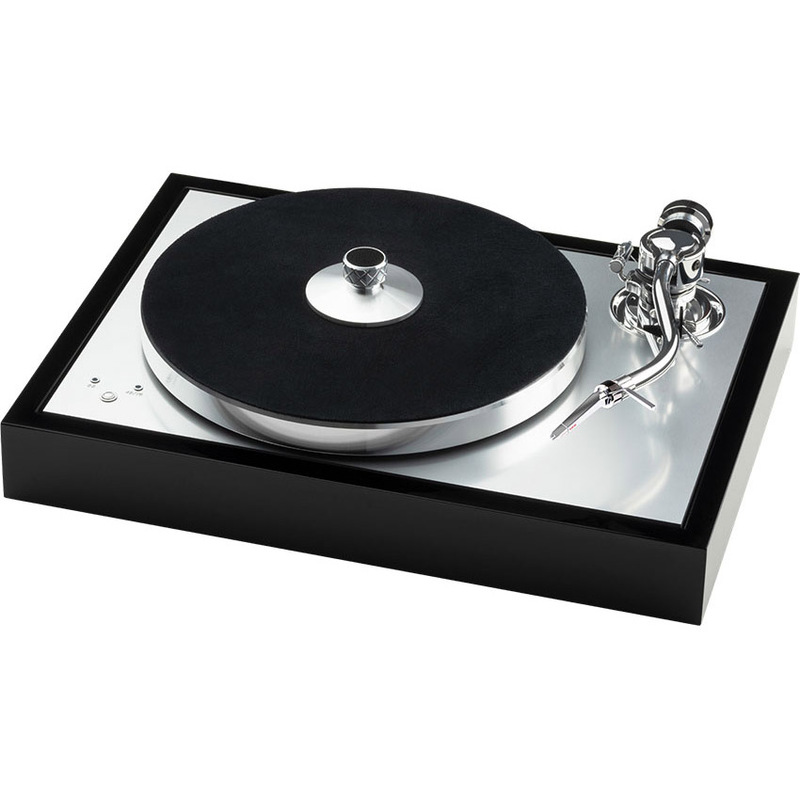 This newly released turntable comes in an elegant piano black chassis. Together with the silver aluminium sub-chassis, this results in stunning aesthetics. Built on The Classic SB it has a few tweaks which result in even better performance. The Ortofon Century turntable comes fully equipped with a built-in electronic speed control. Change from 33.3 to 45 rounds per minute with the ease of pushing a single button. Even if you have a collection of 78 R.P.M. shellack records, it has got you covered. By manually placing the drive belt on the upper ring of the pulley and selecting the respective speed on the sub-chassis, it will easily play these records as well. The built-in electronic speed control means that changing from 33.3 to 45 rounds per minute is as easy as pushing a single button.